Most of the traffic to your site comes from search engines so it is of paramount importance that your blog is perfectly optimised for Search Engines to crawl through easily. By doing this your blog’s ranking on search engines like Google and Yahoo will increase and people will be more likely to find your blog everywhere. Even if you have the top of the line, optimised blog with perfect meta tags and meticulously organised structured data it won’t mean anything if your content in the blog is not upto the mark. But the most important thing is to write a lot of content, be sure that you are writing atleast one blog post per week because even if it is not up to the mark it would be a great start to develop the habit and you will most definitely improve over time. Keywords are the words that hits the magic jackpot of showing up first in the search results. There are many places to implement these keywords in your blog. Here we have added keywords specific for that blog post and something called news_keywords which is used to specify the general category that our blog post is classified under. The title of the blog post is pretty important because it directly impacts the user to click on a post or not. A good blog title makes the user click on it and search engines also look for specific keywords in the title. If the keywords match the user query in the search, it prefers your post to any other. The actual content needs keywords too, make sure you include sufficient keywords spread across your article. The crawlers that the Search Engines use crave order and patterns so if your post is semantically correct, you will have much higher chance of coming to the top of the list. which is better for SEO and just for good code practice in general, so even if you don’t know HTML just keep learning about the best practices involved because there’s always more to learn. Accelerated Mobile Pages (AMP) makes your site super fast and especially for blogs people might click on it if it is in AMP format. 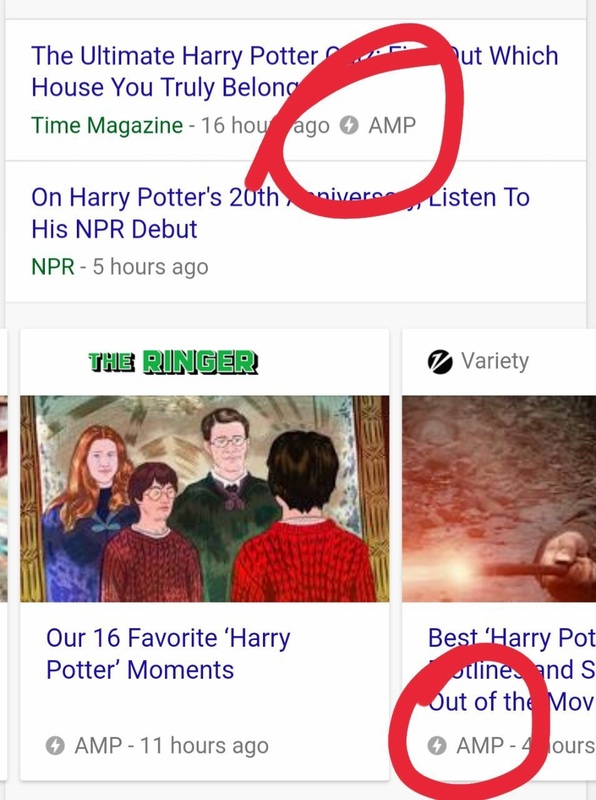 But what is AMP? If you’re not a front end developer, the chances are that you won’t know what AMP is all about. When you search for something on Google, you may have noticed a small AMP lightning symbol. The little lightning symbol indicates that that specific site is AMP-enabled and will load super fast. Loading speeds are drastically reduced on loading the first time and on recurrent loading as well. So consider using AMP on your project for amplified performance. That’s it for now, if you want more tricks to improve your blog let me know in the comments below or reach me on @praveenjuge.